You could be doing something right now to improve your organic search rankings and bring more traffic to your site. Is it building more links? No. Is it creating more content? No. 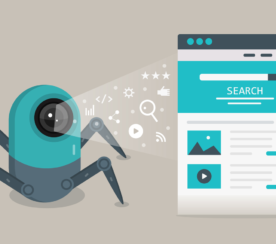 Organic search click-through rate (CTR) optimization. 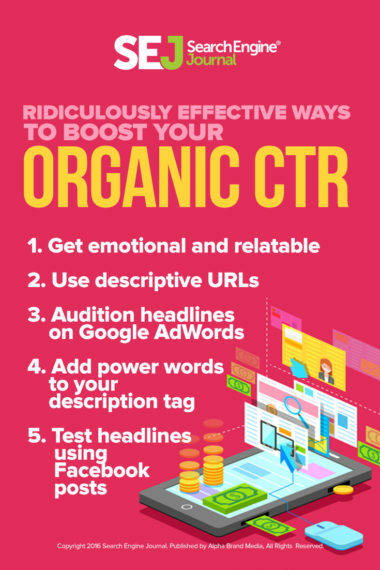 Here’s why you should optimize for CTR and 11 ridiculously effective ways to boost your organic CTR. We know that click-through rate is incredibly important. After all, only a small percentage of people will ever see your headlines – and an even smaller percentage will actually click on your headlines. You can write the most brilliant content in the world. But if nobody clicks on it, it’s like a tree falling in a forest. Why aren’t people clicking on your content? It’s probably because you have a boring headline. At WordStream, we’ve been a bit obsessed lately about improving our headlines. We’ve been identifying our donkeys – our content with the lowest organic CTR (using data from Google Search Console). We’ve been trying to convert those donkeys from the dark side and turn them into unicorns – magical pieces of content that perform beyond normal expectations. And it’s been working ridiculously well! Let’s look at just one powerful example of CTR optimization. One of the donkey posts we identified was titled “Guerrilla Marketing: 20+ Examples and Strategies to Stand Out”. It had a CTR of 1 percent and ranked in the 8th position on Google. We decided to change the title a few months ago, to “20+ Jaw-Dropping Guerrilla Marketing Examples”. 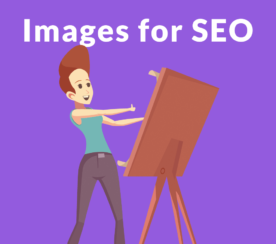 This was the only thing that changed – we didn’t change any of the article text, add any images, or do any link building. Headlines that rely on old school keyword-focused SEO title tag formulas will result in, at best, incredibly average results. SEO has changed a lot in recent years. But, more importantly, so has what users choose to click on. If you haven’t yet adjusted your title strategy, the time is now. Your titles must inspire high CTRs. Articles that get the most engagement tend to have a few things in common. 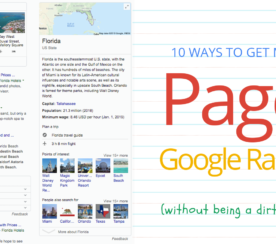 Format: Numbered lists (a.k.a., listicles) boost CTR. That’s why there’s a number (11) in my headline for this post. Emotional Hook: People are emotional creatures, so use the words in your headline to convey emotions like love, anger, fear, curiosity, shock, and awe. Always try to use powerful words and phrases to attract tons of clicks (that’s why I used “Ridiculously Effective”). Content Type: Tell readers exactly what they can expect after they click. For instance, if you clicked on this, you’re expecting to learn some “ways” to boost your organic search CTR. We’re deep in the middle of that right now! You’ve rewritten your headline. You think it’s way better. You are so smart. But let’s be honest: you’re biased. To find out if it’s actually engaging to people who aren’t you, you have to collect data. Google AdWords: Run at least 10 ads in the same ad group, bidding to the same position. Set ads to rotate evenly, using broad match targeting to show up for several different queries. After you get a minimum of 200 impressions per headline, pick your winner (the outlier). If you don’t have a winner, start the process again until you find a winner. Facebook Ads: Test out your new headlines. High engagement on Facebook correlates with high organic search CTR. The same emotions that will make people click on Facebook posts will also make people click on organic search listings! OK, so how do you boost your organic click-through rates? Are you optimizing for CTR? Have you seen similar results? Featured Image: Taken from included infographic, used with permission.